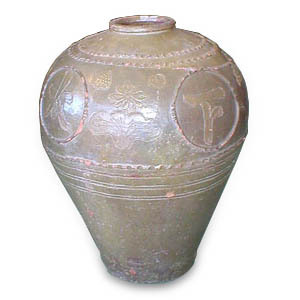 this very rare item has beautiful shape with carved calligraphy and lotus design. It is glazed in a light tea-dust glaze. The calligraphy depicts "A prosperous and peaceful world". Minor chips.